At the exhibition "Twentieth Century Women In The Spotlight" at Pitti Palace's Costume Gallery (Florence), a few dresses and accessories focus on the work of artist/textile designer Susan Nevelson (born Susan Wilson, 1924 - 2015). After modeling for artists in New York, she started her career as a painter in 1951. She specialized in printed fabric designs and from 1960 she developed the brightly colored prints so distinctive of the Ken Scott production. 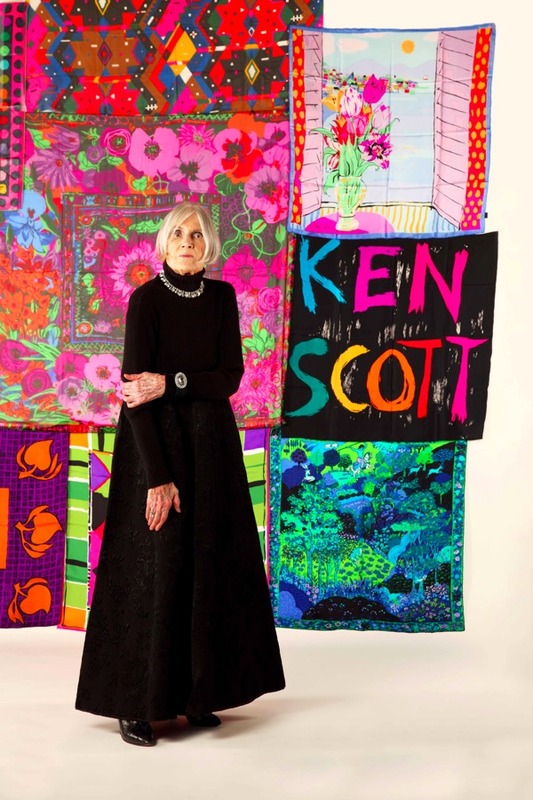 The exhibition shows the collaboration between Ken Scott and Susan Nevelson which continued after Ken Scott's death in 1991 with the company of the same name. Shoes by Vaccary for Ken Scott. Year unknown. The same model in different colors with dresses from different collections. Among the accessories, on display four uncredited pair of shoes. The curators paired the dresses with the sole criterium of the color palette: two identical pairs (a sandal in gold kidskin and the other in black) matched dresses from 1968 and 2005, two others with dresses from 1966 and 1971. There are no listed credits about the shoemaker, and frankly Vaccari of Bologna - that can be read on the insole labels - deserves a little more respect. We wrote to the Costume Gallery - twice - asking for more information but to no avail. What a Pitti! The shoes above are shown matching the Papavero Evening dress and apparently are Nevelson's favorite.